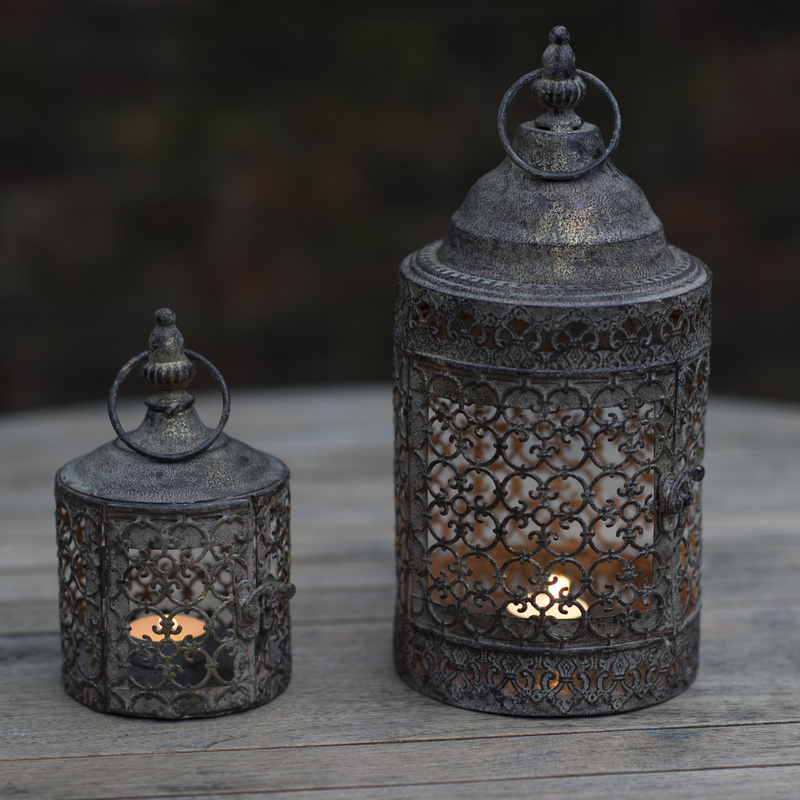 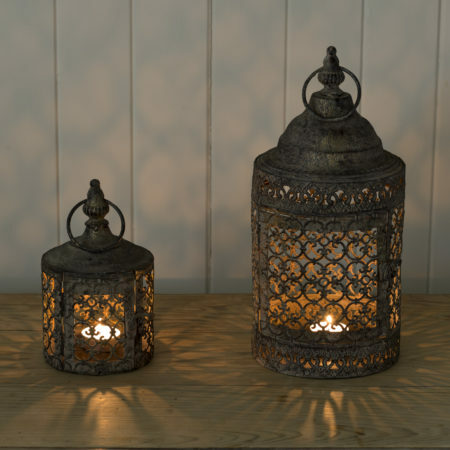 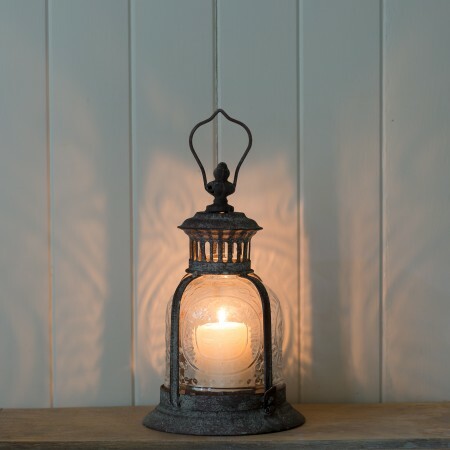 This is a lovely, quality distressed Moroccan style lantern and has the feel of a true artisan product. 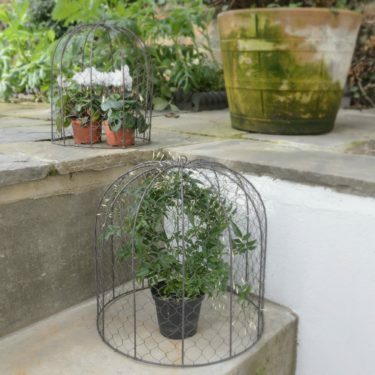 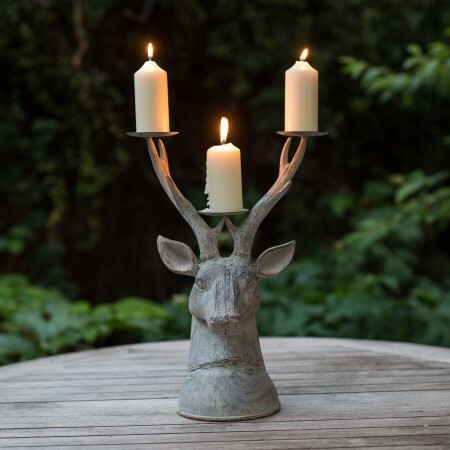 Looks stunning in the garden or in the home by the fireplace. 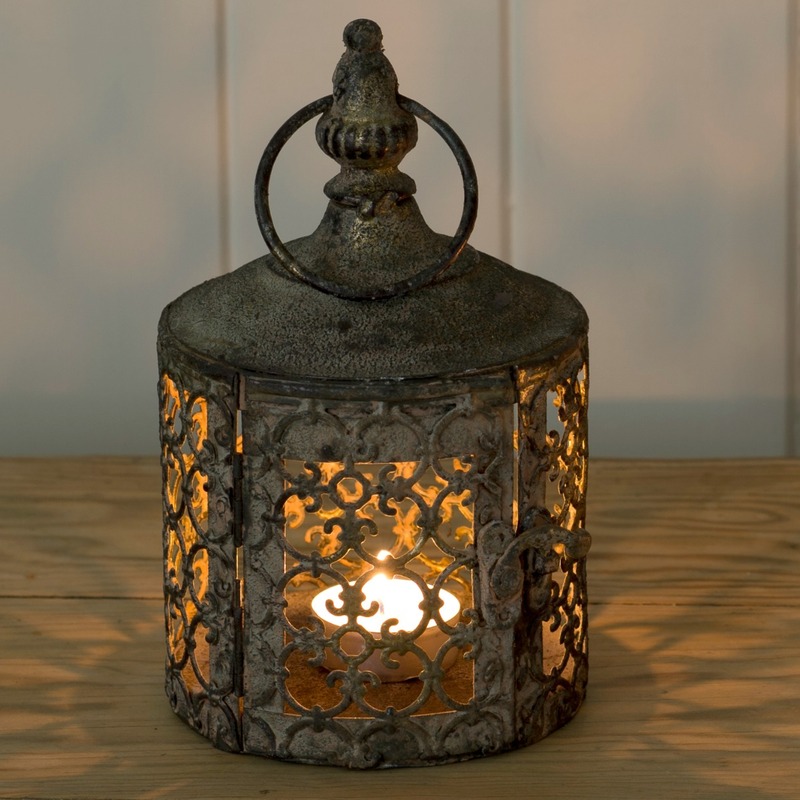 The floral detailed lattice work creates stunning patterns inside or out and can hold a good size candle. 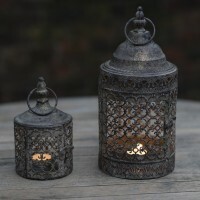 This is the smaller option of this lantern.